WASHINGTON, D.C. (October 29, 2017): This Halloween millions of parents – and many grandparents, friends, and neighbors – will warn children about the dangers from eating candy which hasn’t been inspected, or of being hit by a car, but most will fail to warn them about the biggest risk – one which may kill more children this Halloween than all of the others combined: parental smoking in their presence. The National Confectioners Association reassures us that the idea the Halloween candy may be tainted with razor blades or poison is largely an urban myth, with virtually no known injuries or fatalities. On average, only a handful of children are killed each Halloween from being hit by cars. Although this is reportedly more than any other night, the number still pales in comparison to the death toll from parental smoking. Indeed, the total number of pedestrians under 14 killed each year is less than 250. In sharp contrast, as the New York Times reported, "at least 6,200 children die each year in the United States because of their parents' smoking . . . More young children are killed by parental smoking than by all unintentional injuries combined,'' and that parental smoking annually causes over five million serious ailments which add almost five billion dollars to the nation's medical expense costs. Even if children are not present in a home when a person smokes, the residue - which tends to collect on furniture, rugs, and carpets - is carcinogenic, and thus can ultimately cause death, as well as trigger serious respiratory distress in children with asthma, allergies, and a variety of other conditions. Despite all the warnings and educational messages, children are still more heavily exposed to secondhand smoke than adults. About 2 in 5 U.S. children aged 3-11 years are exposed to secondhand smoke. In the U.S., the percentage of children and teens living with at least one smoker is about three times the percentage of nonsmoking adults who live with a smoker. Even at the levels found in a home where only one parent smokes, tobacco smoke still annually causes in children some 150,000-300,000 lower respiratory infections like pneumonia and bronchitis; 7,500-15,000 hospitalizations; 200,000-1,000,000 asthma attacks; 8,000-26,000 new cases of asthma, and a very large increase in deaths from SIDS. 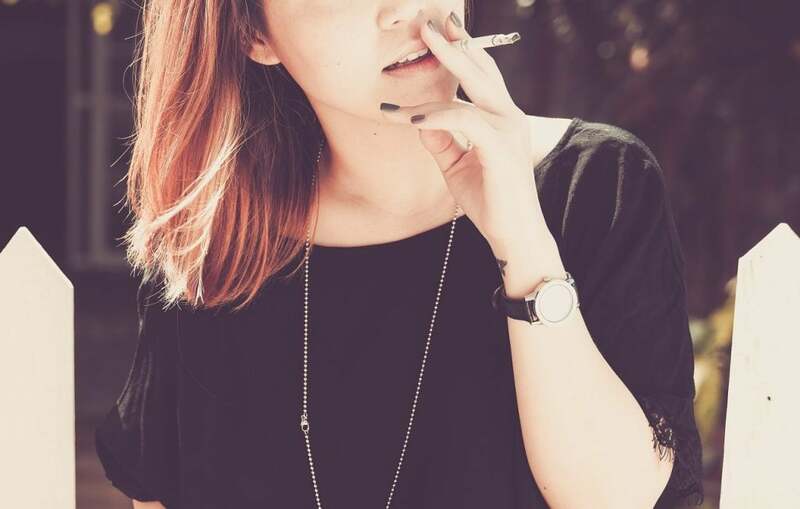 A very recent study shows that at little as 20 minutes of exposure to secondhand tobacco smoke can impair the breathing of nonsmokers. Although the study involved only adults, it's quite likely that the effect would be even greater among children because their tiny lungs are still developing, because young children tend to be far more sensitive to many airborne pollutants than adults, and because children often do not move away from a smoker. Also, residences and other indoor areas where smoking occurs even when children are not present - including, for example, day care centers - may contain large deposits of tobacco smoke residue which can quickly trigger breathing problems in young children, and has also been proven to cause cancer. Thus, suggests Professor John Banzhaf, who founded and ran our nation's largest antismoking organization, adults should warn children this Halloween, and also on other days, against visiting, going to parties, or playing in homes where adults smoke, especially in the children's presence. They should also stay away from a parent, grandparent or other adult while they are smoking, and avoid being seated in the smoking sections of restaurants - and in cars when adults are smoking - where exposure is far higher. Banzhaf notes that smoking around a child has even been considered as a factor in child custody disputes in most states, and a reason to limit the rights of the smoking parent. He also warns that some parents have actually lost custody for deliberately exposing their children to this carcinogenic toxic substance. Although some smokers have shifted, in whole or in part, to the use of electronic or "e-cigarettes," those around them are still placed in danger, especially if they have allergies, hay fever, sinusitis, and/or other respiratory problems, which are more common and more serious in children than in adults. That's why New York State has just joined many other states and localities in banning the use of such products in areas - such as restaurants and other public places - where the use of conventional tobacco cigarettes is also prohibited. Thus they are being classified as "cigarettes." "These products are marketed as a healthier alternative to cigarettes but the reality is they also carry long-term risks to the health of users and those around them," said Governor Andrew Cuomo. Nicotine, heavy metals and tiny particles that can harm the lungs have been found in secondhand e-cigarette aerosol, according to the Surgeon General. As Cuomo noted, "these factors could lead to long-term adverse health effects for e-cigarette users and bystanders." So, let's let children enjoy Halloween! But help keep them safe from cars, tobacco smoke, and vaping, Banzhaf suggests.